A new urban fantasy novel. An enchanting dark soul, Lady Isra, meets Astrid the raven. They share a love that leaves them both gasping for more! Lady Isra is cautious of the human race. Hiding herself by casting a spell transforming everything black. Isra meets an intriguing selection of friends and foes, from Astrid the raven to Romeo the python, and the mysterious Kane. Kane seeks Lady Isra out. Kane and Isra meet, the tension slowly building up between them as he finds himself trapped in her kingdom. Will Kane win over Lady Isra? 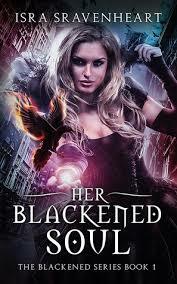 "Her Blackened Soul", is the first instalment in Isra Sravenheart's Blackened Series. It’s a dark fantasy fairy tale of power and magick featuring beautiful, energetic love. Are you brave enough to enter her bewitching kingdom and delve into this subliminal fantasy? Hello I am Isra. 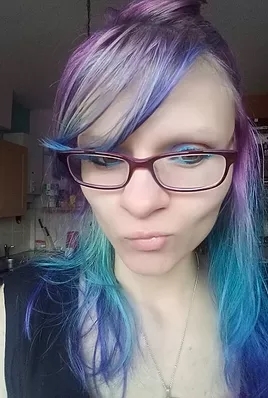 Author of the Blackened Series Trilogy. am a lover of all magickal arts stemming from the occult and traditional witchcraft. When not writing, I am creating art and a lover of fantasy films, movies, books. I live in United Kingdom with my dogs and cat. This book has a dark atmosphere, as well as short chapters. The relationship between Isra and Astrid is quite intriguing. I ended up giving this book a three star rating and got a copy in exchange for an honest review.